Some of the most serious criminal charges you can face are federal white collar crimes. White collar crimes can carry heavy penalties, including lengthy prison sentences and hefty fines. Just being charged can do irreparable harm to you and your family. So-called “white collar crimes” encompasses a category of non-violent crimes that typically involve some kind of financial theft or fraud. Generally speaking, they are alleged to be highly-sophisticated, complex schemes that pose a significant threaten the legitimacy of our national institutions and economy. This may sound over-dramatic, but this is the mentality that federal law enforcement brings to these cases. It’s not uncommon for people to be charged with white collar crimes as well as other crimes. Wimmer Criminal Defense Law is a full-service criminal defense firm, so we can handle your entire case and all the charges you may be facing. Ultimately, you need an attorney who understands your charges and has experience in defending people charged with white collar crimes. Federal investigators aggressively prosecute white collar crimes and have almost unlimited resources in order to bring their case against you. They have a number of investigative tools and robust enforcement powers that they can bring to bear, so it’s important to hire an attorney who knows what to expect and what tools prosecutors can use to build and prosecute their case. Federal law enforcement agents conduct very thorough investigations before filing charges, and once those charges are filed, they aggressively pursue a conviction. If you are being investigated for a white collar crime, everything you do may be subjected to withering scrutiny. If you are under investigation, don’t wait until the charges are filed to speak with an attorney. Defense attorney Lauren Wimmer can help you get through the investigation and maybe even avoid being charged. She can speak with federal law enforcement agents on your behalf and ensure that you are treated fairly. She can also help you avoid the tactics that prosecutors may use to get you to incriminate yourself. Facing federal criminal charges can be intimidating and overwhelming, with repercussions that can destroy your business and professional life. In the context of white collar crimes, just being charged can hamper your day-to-day business operations, destroy your reputation, and erode the hard-earned business relationships you have spent years developing. If convicted of the charges you could be facing significant time in federal prison, fines, and mandatory restitution. In addition, you may have to surrender any professional licenses you hold, and your conviction will be a matter of public record. Even after serving your prison sentence and paying the fines, your conviction could impact your life for years to come. 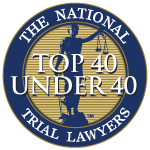 Ms. Wimmer understands precisely what is at stake in your case – your future. Armed with this perspective, she brings urgency and passionate advocacy to her cases. At Wimmer Criminal Defense Law, we believe that a successful legal defense requires that you take nothing for granted and that you fight the charges every step of the way. If possible, your defense begins before the charges are even filed. Defense attorney Lauren Wimmer advises her clients on how to successfully navigate the investigative process in order to avoid incriminating yourself and helping federal investigators build your case. She also stays in close contact with prosecutors and will fight to ensure you are treated fairly. Her goal is to help you avoid being charged, and will use whatever leverage she has to help you avoid being prosecuted. If charges are filed, Ms. Wimmer provides a relentless defense from the very first day. She will thoroughly investigate your case, identifying every weakness in the prosecution’s case and building the evidence you need for a strong defense. She will challenge every element of the prosecution’s case and give her full attention to every fact or argument in your favor. In short, Ms. Wimmer will handle your case as if it’s her only case. Unfortunately, not all defendants can avoid conviction. If you choose to enter a plea agreement, Defense attorney Wimmer will make sure that you receive the best possible deal. If you are convicted at trial, she will passionately argue on your behalf to ensure you receive the fairest possible sentence. She does not allow the prosecution to make an example of her clients by imposing the harshest possible penalties. In recent years, prosecutors in Pennsylvania and throughout the nation have turned their attention to identifying and prosecuting “white collar crimes.” White collar crimes generally refer to charges of unlawful acts committed by businesspeople and other professionals. Potential penalties for white collar crimes can include prison sentences and large restitution payments. Furthermore, for professionals accused of engaging in fraud or other acts, such allegations can derail a career, provoke an ethical complaint or result in a loss of a professional license. For certain financial professionals, entrepreneurs, and other workers typically involved in trust and security-sensitive occupations, white collar crime allegations are especially damaging. 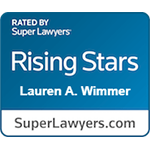 Lauren Wimmer is a trial-seasoned criminal defense attorney that will fight to protect the freedom and reputation of individuals accused of committing white collar crimes. 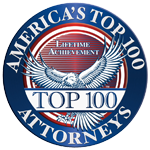 Call for a free consultation today at 215-712-1212 to discuss the unique circumstances surrounding your case and the work we will do to reduce the consequences you will face. In Pennsylvania, embezzlement and certain types of fraud acquisitions are typically prosecuted as theft. Under 18 Pa.C.S. § 3927 – Theft by failure to make required disposition of funds received, a person can face a theft charge for embezzlement when he or she has a known legal obligation to make specified payments, but does not, and chooses to treat the property as his or her own. It is important to note that for government employees and employees of financial institutions, knowledge of criminal liability under this section of the Pennsylvania code is presumed. Likewise, financial and government employees are presumed to have dealt with the property as his or her own if he or she fails to give over the money when asked, or if an audit reveals that accounts were shorted or records were falsified. 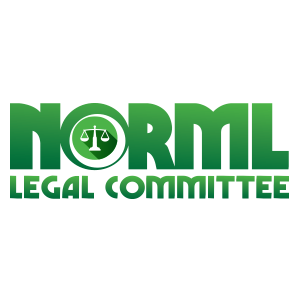 To further the commission of a crime or any unlawful act. 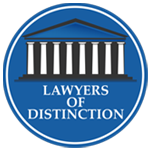 It is important to note that each time a person satisfies the above elements, that constitutes a separate offense. In other words, multiple identity theft acts will not merge into a single crime or criminal charge. However, the loss caused by each separate identity theft act can be combined for purposes of grading the offense. Thus, due to the nature of identity theft crimes, people can often face multiple serious felony charges. Situations where an individual knowingly and with the intent to defraud, presents false documents or information to an insurer. Situations where a person knowingly and with the intent to defraud, conspires with or helps another person present misleading information in connection with an insurance determination. An unlicensed broker or agent who knowingly engages in unauthorized insurance activities with the intent to defraud. A person who knowingly benefits from insurance fraud. Insurance fraud can be charged under an array of additional circumstances as well. In light of a renewed focus on healthcare and other insurance costs, insurance fraud is an increasingly common charge. Credit card fraud is another type of increasingly common criminal charge in Pennsylvania. Under 18 Pa.C.S. § 4106. Access device fraud. Credit card fraud can include acts ranging from creating fake credit cards to skimming the legitimate information of other credit card users. The severity of the penalties you can face for credit card fraud changes based on the value of the property involved. At the lowest end of the spectrum, where property worth less than $50 was stolen, the act is a second-degree misdemeanor. However, $50 is a pretty low value, so many thefts will likely meet or exceed this limit. Furthermore, when the alleged value involved is greater than $500, then credit card fraud becomes a felony of the third degree. If you have been charged, or are under investigation for, a ‘white collar crime’, it’s important to seek aggressive and skilled legal representation as early in the process as possible. Many of these cases involve large amounts of evidence and sometimes include testimony from ‘whistle blowers’. Contact Wimmer Criminal Defense or call for a free consultation at 215-712-1212 today. Learn about the aggressive action we can take to reduce any charges you might face as well as the associated consequences. 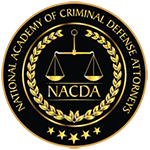 You need a criminal defense attorney that is trial-ready and experienced in the strategies surrounding disputing evidence and testimony who can take your case through trial, if necessary. Lauren Wimmer will personally fight for you.